Illustration Drawing Services Last modified on: 18 Nov 2013We offer Illustration Drawing Services to our customers. 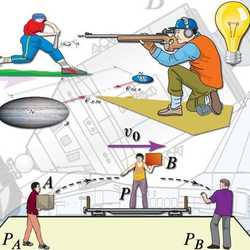 There is an experienced team for drawing illustrations on almost all subjects. These can be line drawings, technical illustration, sketches, medical or scientific drawing, chemistry or mathematical illustration. it is a building at delhi which has been planned, constructed by decons company.We also do working drawing of all the project we do. KW Stone is specialized in making shop drawing for installation of Stone and other related items at big project like Group Housings, mall, Office buildings, Farm houses etc. We have experienced archittuctural team for his services.We are already proven ourself by doing many presigious building projects in India and abroad. 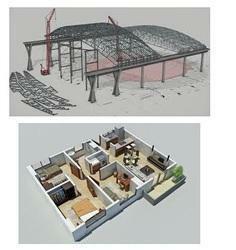 We provides the Fabrication drawing services. Rama Rolling Shutter Works is a leading name in Installation Rolling Shutter Installation Drawing in Delhi ncr. Supported by highly accomplished crew of employees, we are rendering Civil Structural Drawing Service. These provided services are delivered under the stern supervision of adroit personnel as per set industry principles. In addition to this, these provided services are attributed amid our client for reliability and cost effectiveness. - Drawings created in auto cad to create stunning presentations and visual walk through of buildings. - Sketch up to have multiple and detailed drawing as low cost. - 3 D models of interiors for client’s presentation that shows. Wall texture, colors, sun, -shadows studies. In order to fulfill varied demands of the clients, we are offering 2D Exterior Drawing Service that is offered in a unique and planned way. The offered drawings are artistically crafted by the creative designers to give a pleasant living experience to the clients. With the aid of advance technology and methods, these drawings are crafted in 2D featuring two side dimensions. We also prepare as-built drawings often required before the onset of renovation and refurbishment activities. We have catered to the requirements of retail outlets, hospitality chains, institutions, large office spaces etc. in this category.